"During his absence from the field of Arctic exploration, important additions had been made to his [Franklin's] own discoveries. That part of the north coast of the North American continent, which Franklin had not explored and took measurement was nearly closed. Two officers of the Hudson's Bay Company, Dease and Simpson (Thomas), in 1837, had carried out further explorations. What was then known in 1844 was that it would appear that there was indeed a North-West Passage; and that, with the right approach, a well equipped expedition, under suitable leadership, and in the right weather conditions - such a passage stood a good chance to be made." So, the British government was, once again, in the mood to get back to Polar Exploration. On February 5th, 1845, Franklin was called to the office of a Lord who had the authority to finally authorise a new polar Expedition. No one was about to question Franklin's experience in leading such an expedition, but, of course, there was a question of his advancing years (he was then near 60 years of age). Everything was put on the scales and the decision was taken to appoint Franklin to lead this latest Polar Expedition. 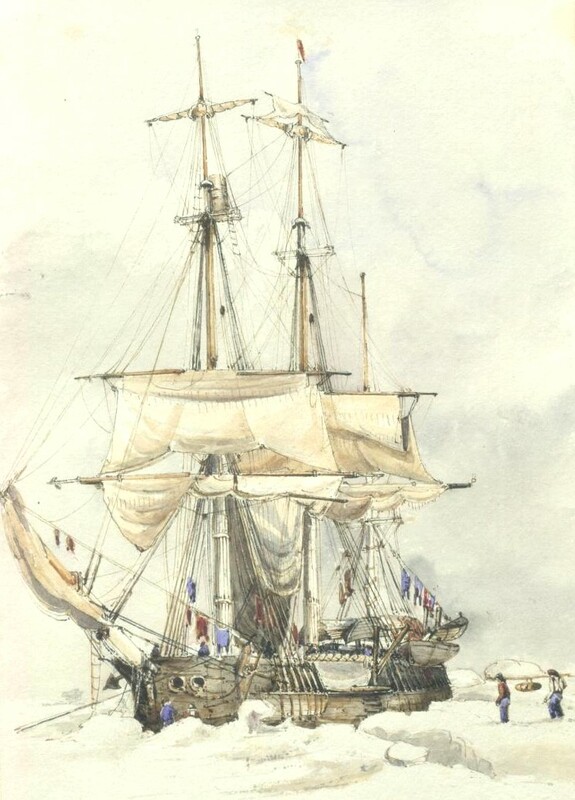 Two ships were given to Franklin for his expedition. The Erebus was under the direct command of Franklin. The Terror was under the direct command of Francis Crozier, who was her captain when she was in the Antarctic. John Ross had carried out his explorations in the Southern and Antarctic Regions during the years 1839-43. Other noteworthy officers with Franklin, were: James Fitzjames (Franklin's second in command), Graham Gore and Charles F. Des Voeux. Each ship carried 67 officers and men.45 The ships were freighted with enough stores to last three years. Steam was just starting to appear in ships; so, the two ships were fitted out, as we have seen, with small, fifty horsepower steam engines; thus they were the first ships to go into the high north with screw propellers. From all reports the Erebus and the Terror were well-equipped for the age. Here is an extract of Franklin's last letter to his wife, Jane, presumably, put on aboard the returning transport. The very last contact that any European had with the Franklin Expedition was on July 26, 1845. It was a whaler, sailing in the Davis Strait which happened upon the Erebus and the Terror. This knowledge was published in a London Newspaper on October 27th. This last entry in the whaler's log, was the last information on Franklin that anyone was to hear for a number of years.